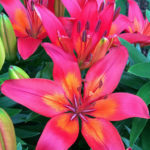 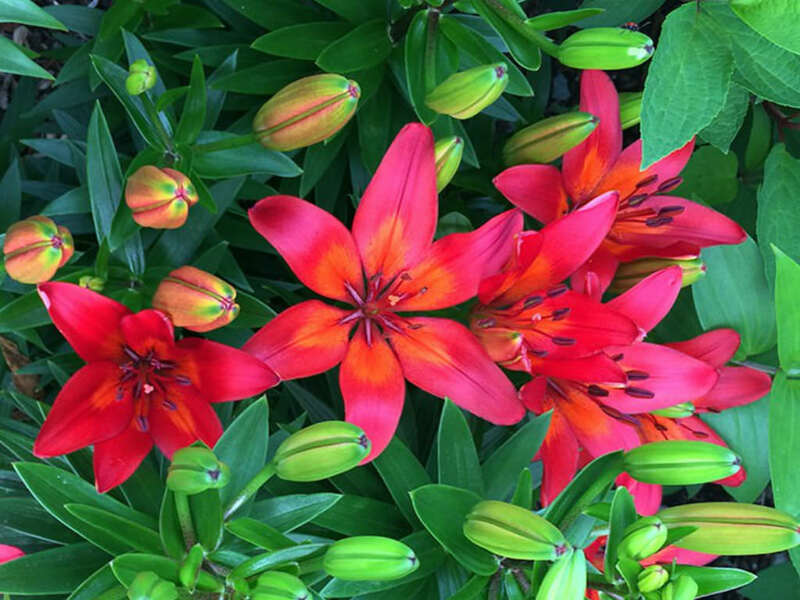 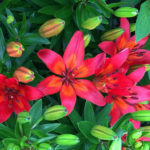 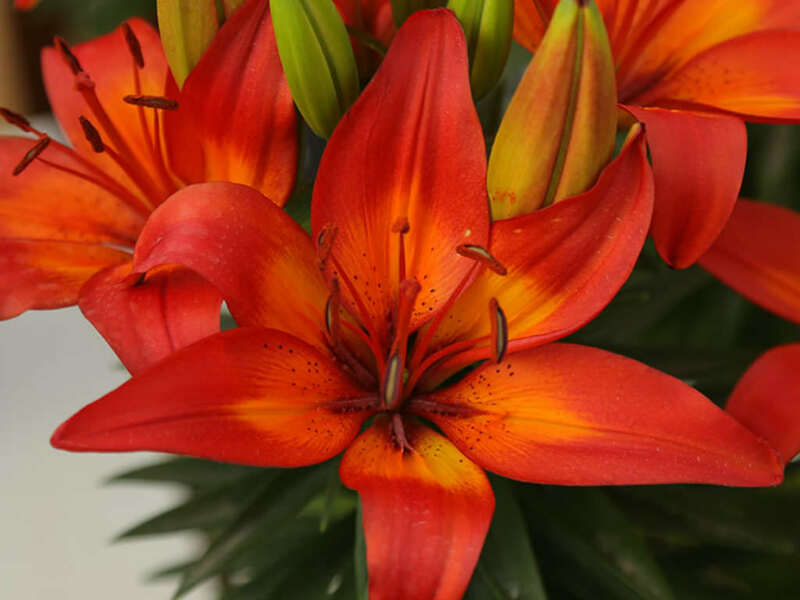 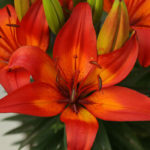 Lilium ‘Matrix’ is a fantastic, dwarf lily with fiery red flowers with deep orange throat. 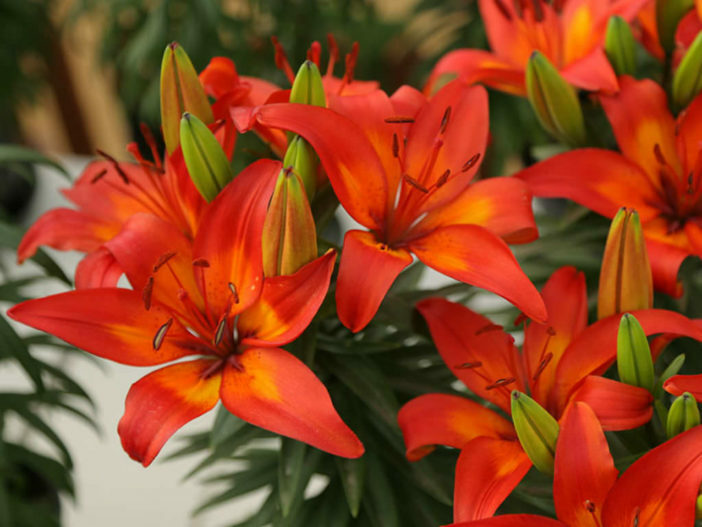 The flowers are large and extremely numerous on one stem which is usually about 30 cm tall. 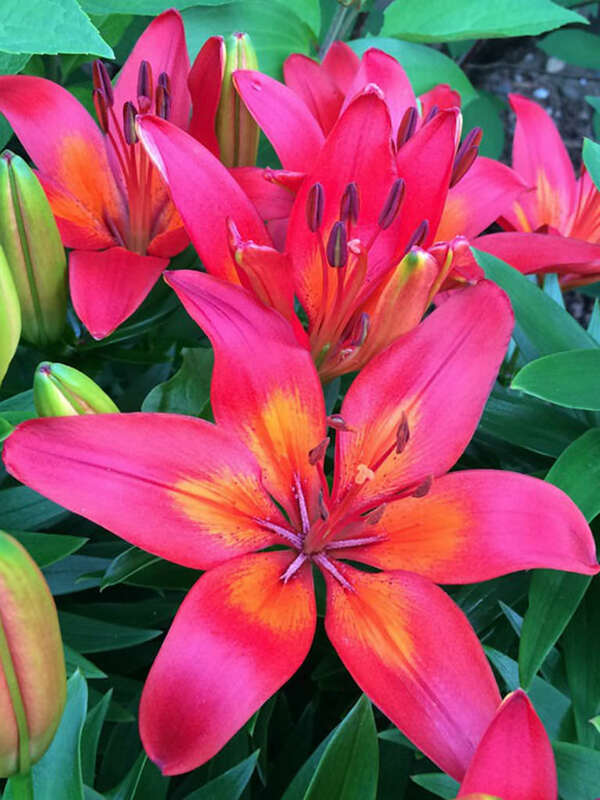 It is an upright, bulbous perennial with compact, erect stems bearing narrowly ovate, spirally-arranged, glossy, dark green leaves.